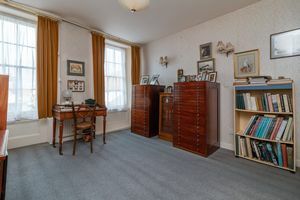 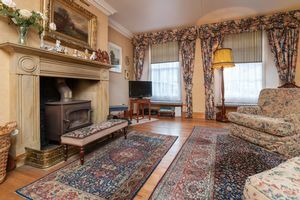 Elegant 28ft drawing room and dining room. 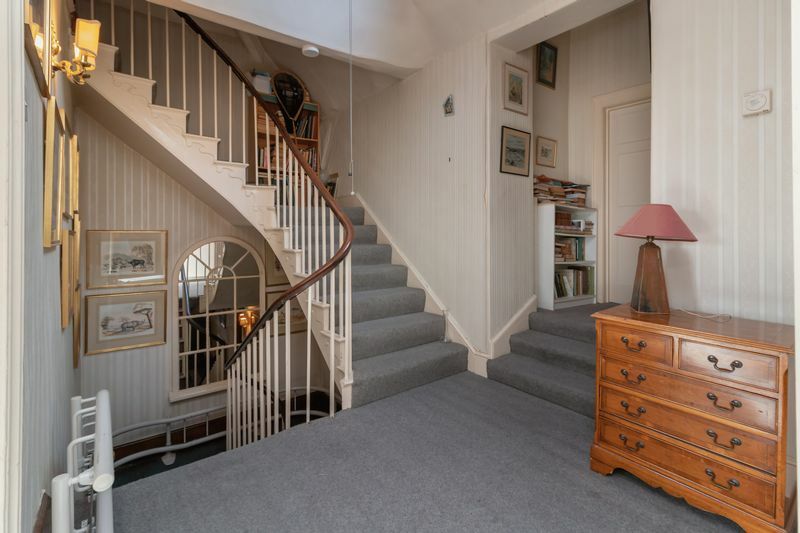 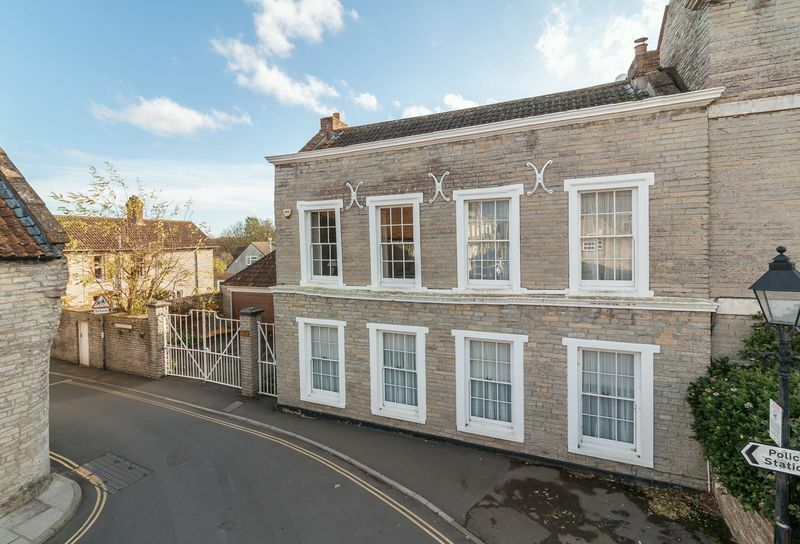 Arley House is a very elegant and substantial Grade II listed townhouse conveniently positioned in the heart of the desirable and sought after market town of Somerton. 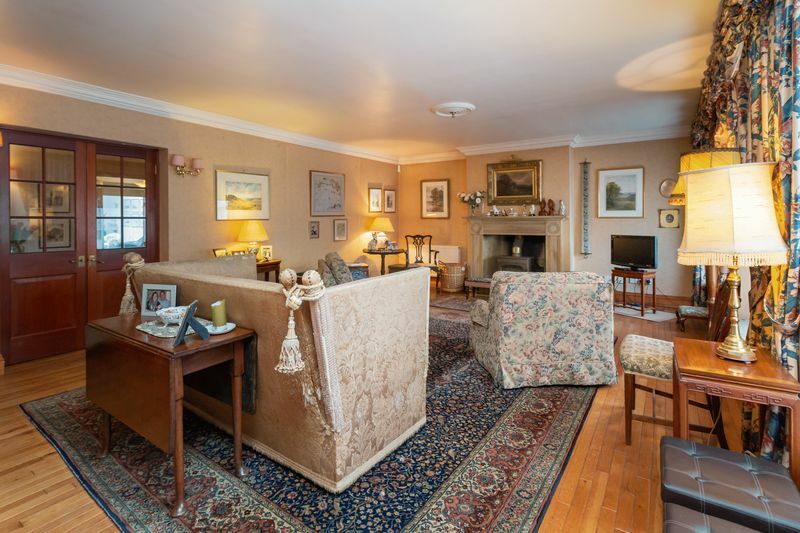 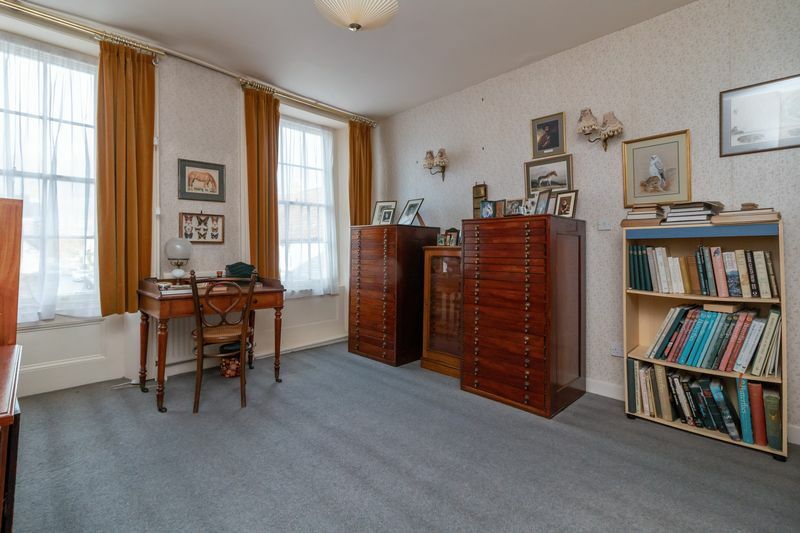 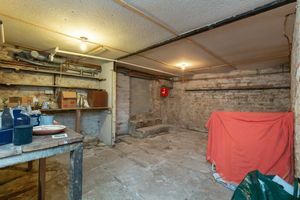 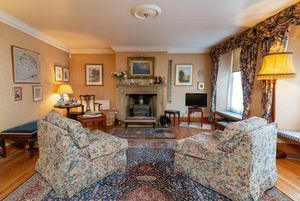 Occupying a prime position in the pretty market square and believed to date back to the 19th century, the property is a fine example, built of local Blue Lias stone under a pitched clay tile roof and starting life as chemist shop and house. The generous accommodation retains superb features throughout including sash windows to the front with window seats, hardwood floors and fireplaces. All in all, it provides an increasingly rare opportunity to create a wonderful family home with the benefit of no onward chain. 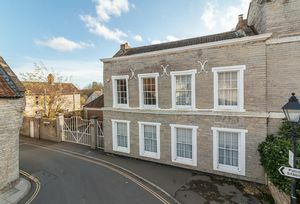 From the Market Place a wrought iron pedestrian gate provides access to a courtyard at the side of the property where a traditional timber painted door with glazed fan light over sets the scene for what is to come, opening into a large reception hall where your eye is drawn to the attractive winding central staircase. Double doors on one side lead you into a 28 ft long formal reception room with wood flooring and stunning stone fireplace and hearth with inset wood burning stove. 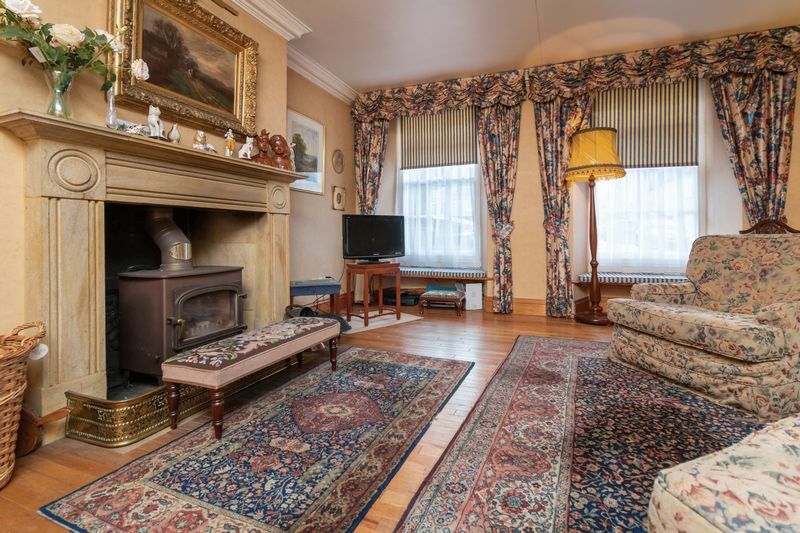 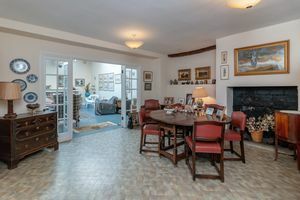 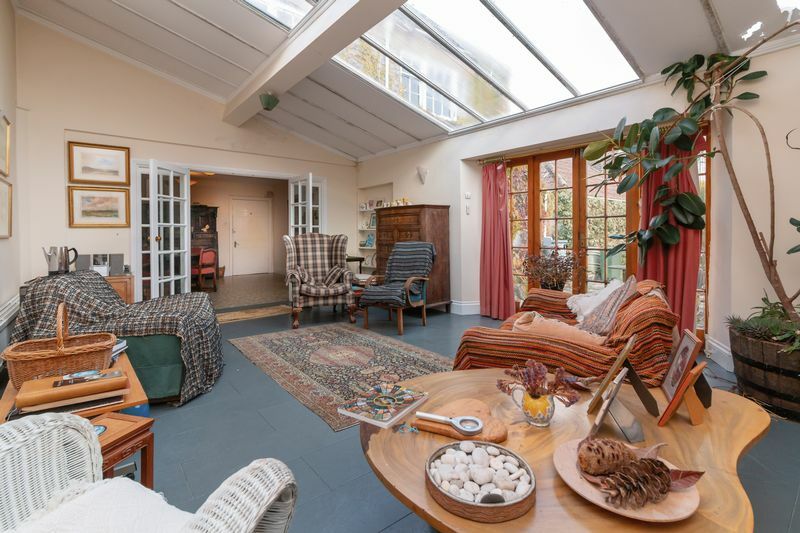 The dining room also features an open fire and leads off to the kitchen and double doors open into a wonderful large sun room, flooded with light and having a pleasant outlook over the garden. 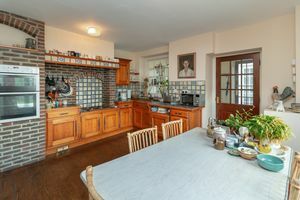 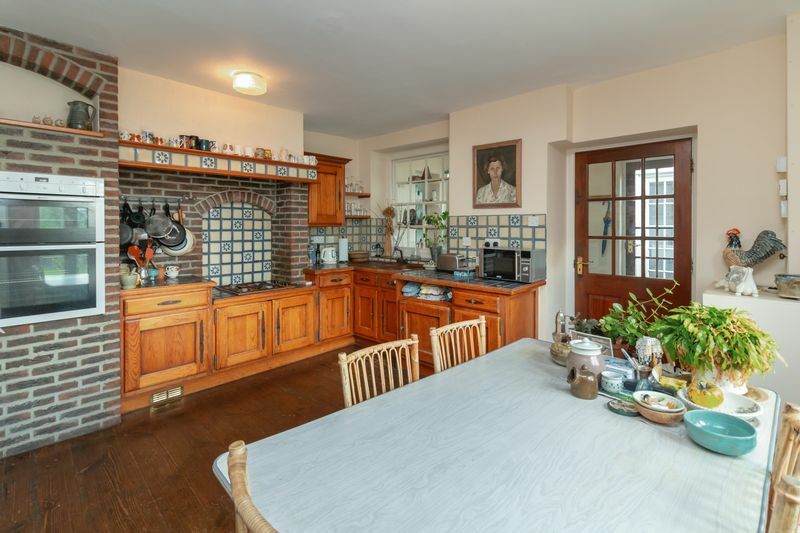 The kitchen is fitted with range of units and includes a built-in double oven and gas hob, space allows for a table and chairs where double doors open on to the terrace. Another door takes you through to a utility room and cloakroom. 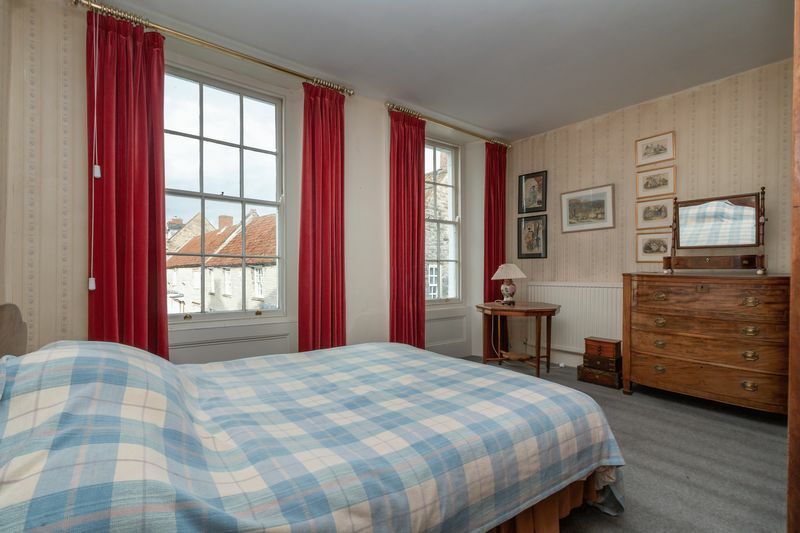 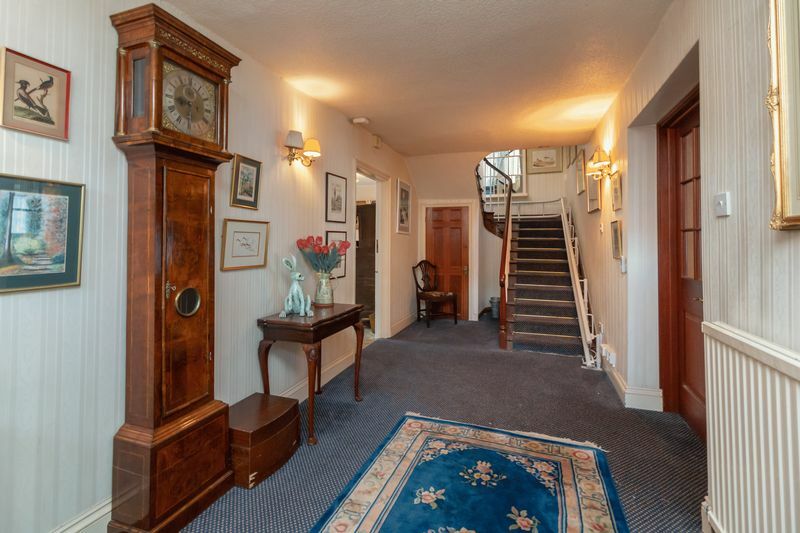 On the first floor there are four double bedrooms, two bathrooms and one shower room. The spacious landing has an airing cupboard and stairs continue up to the second floor where the fifth double bedroom can be found or a perfect office away from the distractions of the home. 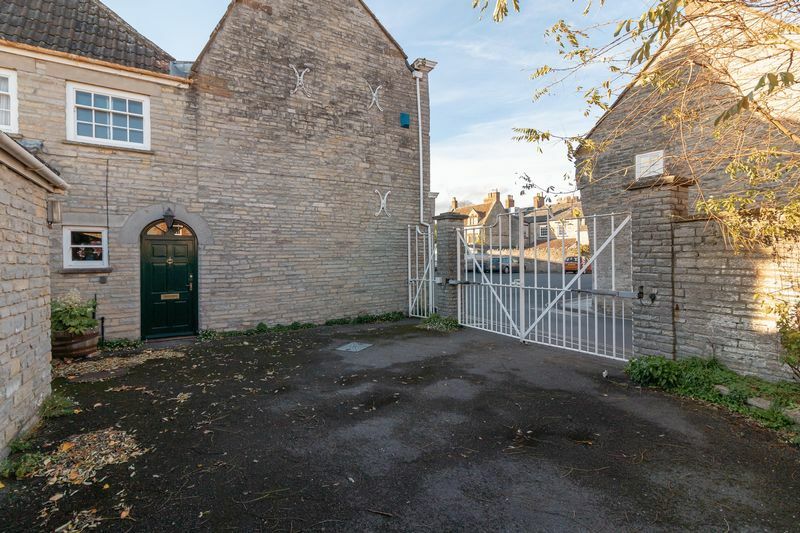 Large wrought iron gates open to a front courtyard providing parking in front of the double garage having up and over doors, power, light and a store to the side. 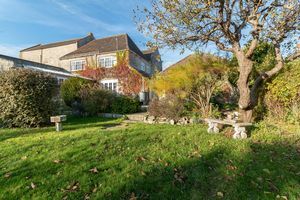 From the courtyard a painted timber provides access to the delightful walled garden, comprising a large lawn with shrub borders and mature trees. A terrace is accessed from the sun room and kitchen, perfect for al fresco dining and entertaining. Somerton is a charming town with a Market Square, dating back to the Saxon times and offers excellent facilities including a supermarket, gift shops, doctor’s surgery, pharmacy, post office, library, a choice of pubs, bistros and restaurants and St Michaels and All Angels Church. 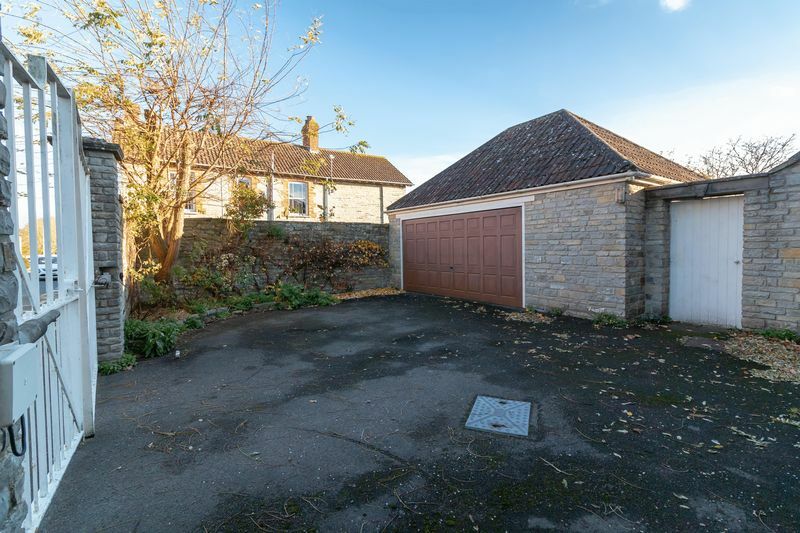 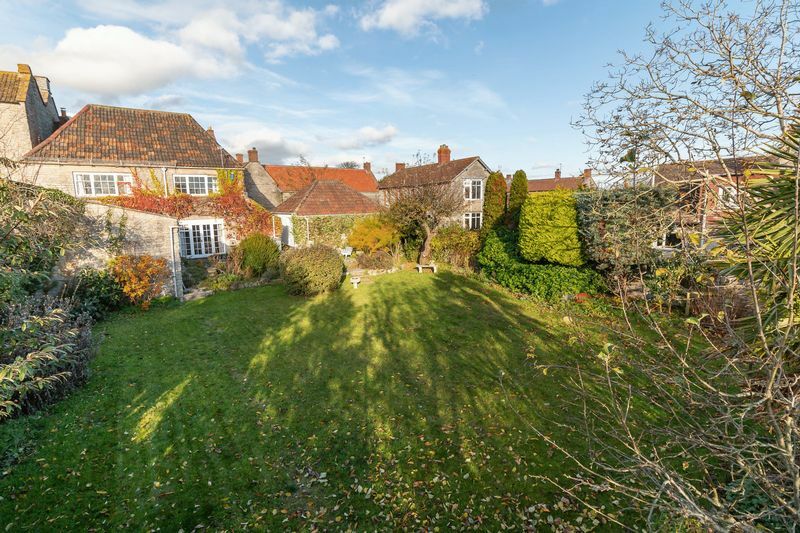 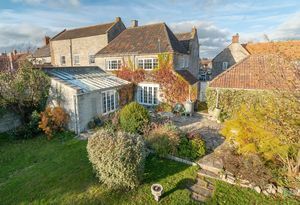 Other nearby places include Street the home of Clarks Village, the historic towns of Wells, Glastonbury, Sherborne and Yeovil providing shopping and business facilities. Local private schools include Millfield School in Street, Kings School Bruton, Bruton School for Girls, Sherborne Girls, Sherborne Boys, Hazlegrove Prep in Sparkford, Queens Taunton, Kings Taunton, Sexeys School in Bruton and Wells Cathedral School. 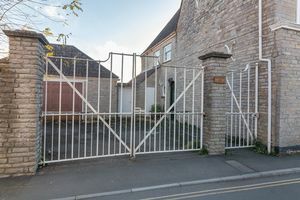 Huish Episcopi Academy just rated one of the Top 10 schools in Somerset are within the catchment for state schooling. 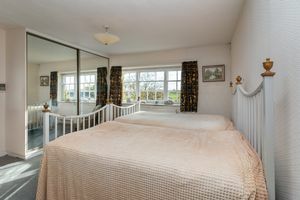 The A303 Podimore Junction is just 5 miles enabling good access to the Home Counties and west to Devon and Cornwall, Castle Cary 8 miles (direct Paddington train-line) and Taunton M5 25 miles. The Dorset coast is also easily accessible being within an hour’s drive. Proceeding along the B3151 from Street, as you approach Somerton turn right onto the B3165 and continue up the hill to a mini roundabout. At the mini roundabout, turn left into North Street. 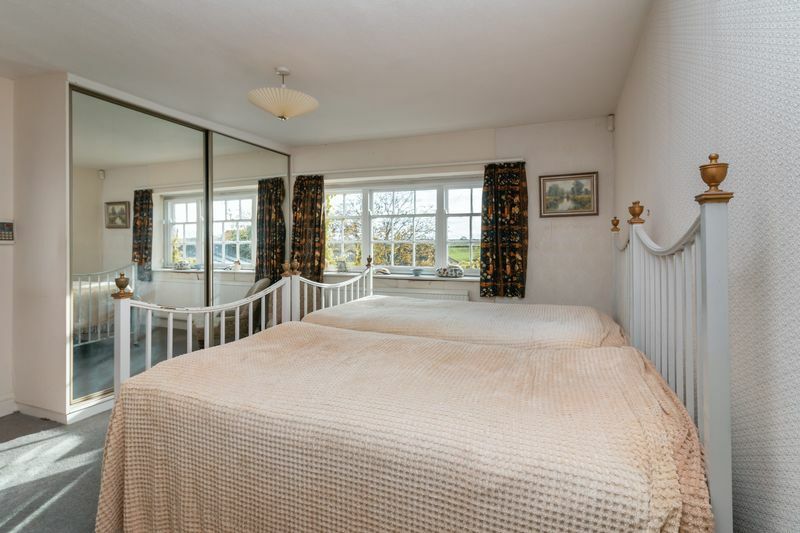 Take the second left and the property will be found straight ahead of you.